A super strength alternative to the regular ArthriAid. The level of Hyaluronic Acid (HA) has been significantly increased to 125mg per serving for the accelerated promotion of Synovial Fluid, cartilage and connective tissue. 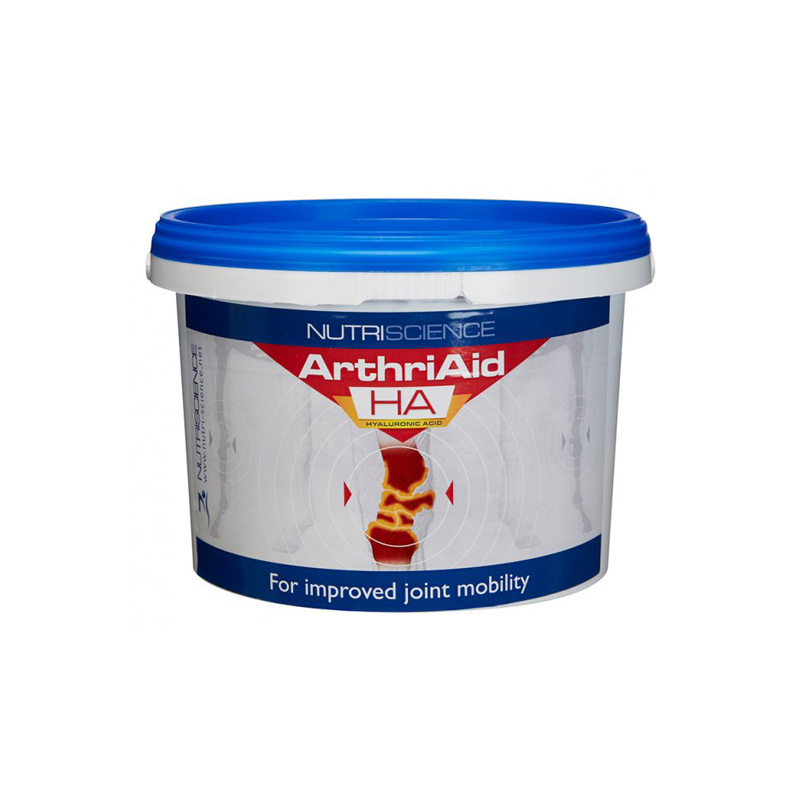 Arthri Aid HA uniquely combines high strength Glucosamine, MSM and HA (Hyaluronic Acid) plus essential co-factors that help encourage the manufacture of new cartilage and synovial fluid leading to easier joint mobility. ArthriAid HA is one of the most powerful and cost effective HA Glucosamine products available. Glucosamine, an amino sugar, is the starting point for the production of new cartilage, and is fundamental to maintaining joint function. What is the source of Glucosamine? Glucosamine is readily available from chitin; which forms the exo-skeleton of shellfish. MSM is a naturally occurring sulphur compound which helps soothe knocks, bumps, bruises and sprains. What is HA or Hyaluronic Acid? Hyaluronic Acid (HA) is the principle constituent of Synovial Fluid, natures 'oil for its joints'. HA is the same Glycosaminoglycan found in this Synovial Fluid and in Cartilage matrices. Synovial Fluid is the essential viscous substance that lubricates joints throughout the body and allows two adjacent cartilage caps to glide over one another with minimal friction.